To minimize span, I have encrypted my e-mail address in a very low tech fashion. 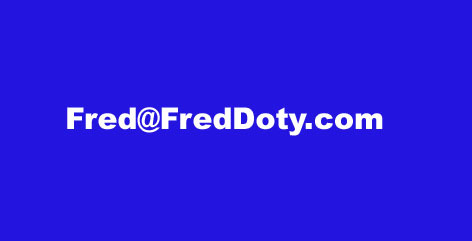 To write to me, replace Fred (both times) with my first name and you will have my real e-mail address. I try to answer all legitimate e-mail that comes my way. If I am on a road trip it can take me a week or two to catch up on e-mails. If you don’t hear from me in two or three weeks, your e-mail may have been caught in my spam filter. Write to me again and put OHAVER in the subject line of your e-mail. E-mails with obvious spam words in the subject line and e-mails with nothing in the subject line are deleted without being read. E-mails with any kind of attachments are automatically deleted. More information is here.